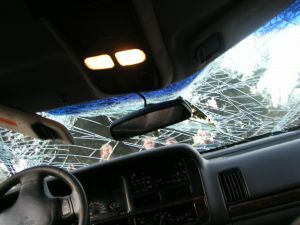 Your personal injury attorney must carefully consider any offer of pre-trial settlement by the defense in a civil case to better your chances you won’t run afoul of F.S. 768.79 at the conclusion of trial. The very first section of this statute stipulates that if a defendant files an offer of settlement that is not accepted by plaintiff within 30 days, defendant is entitled to “reasonable costs and attorney’s fees” incurred if the final judgment is that defendant was not liable OR the judgment obtained is at least 25 percent less than the original pre-trial settlement offer. Obviously, there is no way to know for sure how a case is going to be decided or how much a plaintiff may be awarded in a successful case. That makes turning down settlement offers a risk. This is why having a personal injury lawyer with extensive local pre-trial negotiation and trial experience is invaluable. Knowing how such cases have gone in this same jurisdiction or in front of this same judge in the past is important to your case. An example of this was recently weighed by the Alaska Supreme Court in Whittenton v. Peter Pan Seafoods, Inc. This was a truck accident case alleging vicarious liability of the negligent truck driver’s employer. The question was whether defendant’s offer of settlement prior to trial entitled defendant to collect attorney’s fees – even though plaintiff had won. According to court records, a family was on vacation when a driver driven by defendant’s employee backed into their vehicle. Only mother and daughter were in the car at the time, and both sustained personal injuries. That was in the fall of 2011. Plaintiffs filed a personal injury lawsuit against defendant company in 2013, seeking damages for pain and suffering, medical expenses and loss of consortium. Two years later, defendant made an offer of settlement to mother and daughter, offering to pay mother $23,000 and daughter $2,000, which included costs, interests and attorney’s fees. Neither offer was accepted and plaintiff’s amended their complaint to add a new claim for loss of parental consortium. A trial was held several months later, and damages were awarded to all three claimants – mother $16,000, daughter $4,500 and father $2,000. Defendant then sought to be considered the prevailing party under Rule 68 (similar to F.S. 768.79) and compelling plaintiff’s to pay attorney fees. Defendant argued plaintiff’s total recover – $22,000 – was less than 95 percent of the $23,500 settlement offer. Therefore, defendant was entitled to 50 percent of the fees and costs incurred after the offer was made. Plaintiffs opposed, arguing the offer was not valid and they had incurred additional costs prior to that offer that defendant hadn’t incorporated into its calculation. Defense conceded plaintiffs were entitled to some additional costs, but not enough to beat the offer of judgment. Superior court first denied the defense motion, but later reconsidered and decided in favor of defendant, who was awarded attorney’s fees and costs. That decision was upheld by the appellate court as well as the state supreme court.